This journal’s purpose is to work towards the completion of the weekly assignment for week eleven. We are examining amino acid sequences and comparing them to find a region that displays a significant amount of genetic difference. The distances were recorded for each subject. 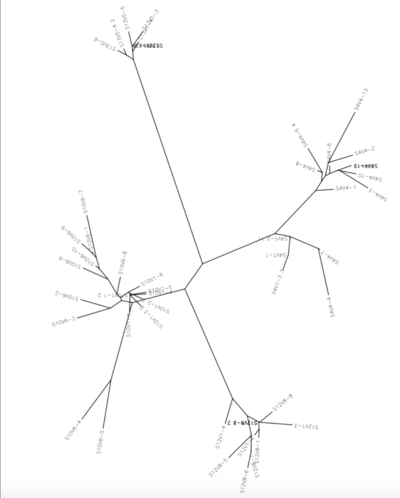 This structure was used to generate the Markham sequences to be compared to experimental subject sequences for comparison. Continuing the same series of experiments, we used the data we acquired in the previous week. The various progressors amino acid mutations were analyzed witha multicple sequences alignment, which did not show major differences between the several subjects first and last visits. An analysis from ClustalDist also showed that not all subjects had noticeable change in amino acid, though some did. 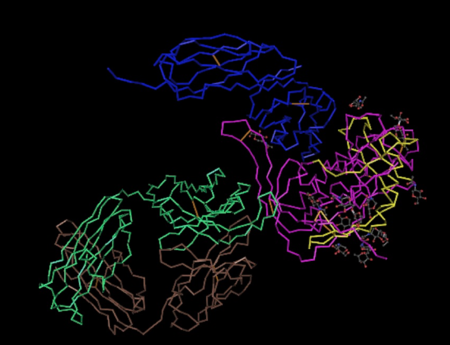 Using a 3d modelling tool, we mapped an amino acid sequences to find the specific area that was commonly mutated. More than fifty percent of each subjects mutations occurred between amino acids 38 and 42 out of a 95 amino acid long sequence on the V3 region.